Jim Richardson's Stand-Up Comedy Workshop - Goodies Page - tips for Stand-Up Comics from our national TV & film stars. 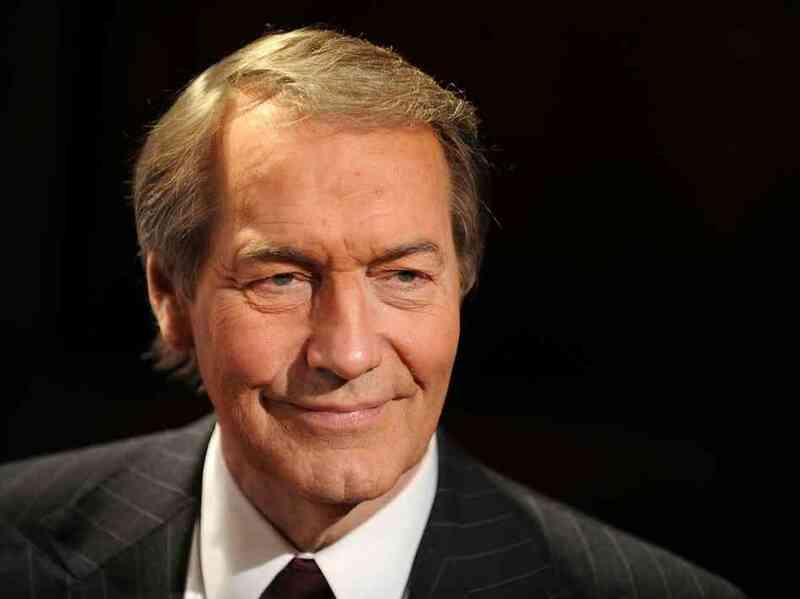 June 18, 2012: Alec Baldwin interviews David Letterman on "Here's The Thing"
January 4, 2013: Charlie Rose interviews David Letterman on his PBS-TV show "Charlie Rose"
Eye toward both clarification & expanding on key points. December 22, 2013: Send it to Xmas Re-write! 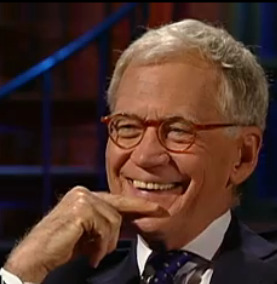 One of the best interviews of a top stand-up comic, this David Letterman piece gives an objective description of the performer's rise to national stardom. It also dispels many myths about the process. 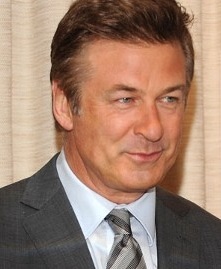 •Alec Baldwin is a particularly good interviewer, benefiting from his time co-hosting Turner Classic Movies and his long career on national television. Check out the Vanity Fair “Special All-Star Comedy Issue” in the January 2013 issue. plus an hour and 22 minute audio clip with those voices! 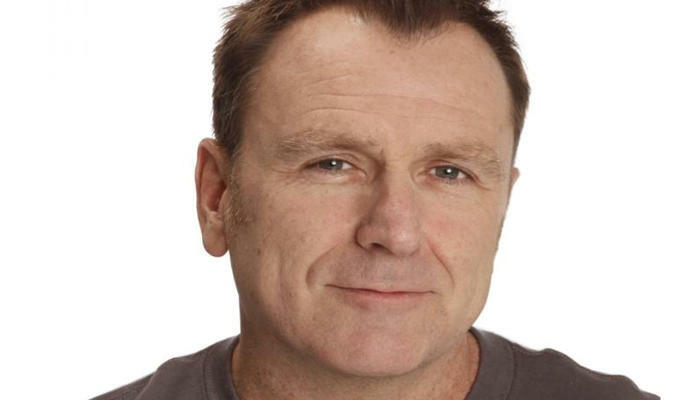 Colin Quinn delivered the keynote address at the ComedyPro conference at the Just For Laughs comedy festival in Montreal on July 25, 2013. •The accompanying web page was peppered with both misspellings and inaccurate quotes; so, I am not linking to that abortion. •Colin does some peppering himself: adding adult language and so much gratuitous use of the f-word that he comes across as an aging, punch-drunk fighter who none-the-less has flashes of comedic brilliance. •His cautioning the audience during his stumbling opening remarks that he is only working off rough notes in defiance of oddball requests from the festival's producers wisely sets the tone while reducing expectations from this well-liked SNL TV star and bare-knuckles club comic. At first, I thought that his speech needed to be paused often so I could add some clarifying annotations, and not mislead the uninitiated. 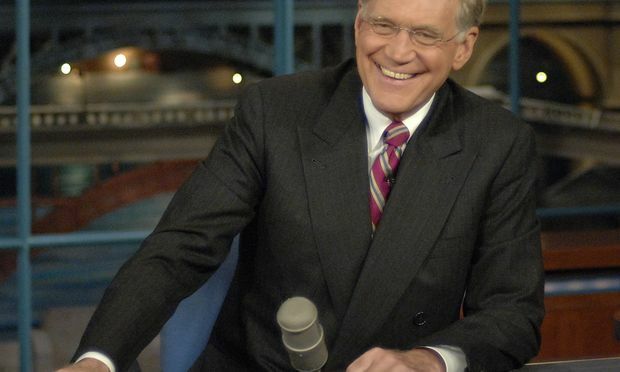 •However, Colin is just setting us up: he comes through like a champ, giving pithy tips to open micers, local headliners, TV stars, comedy club producers, agents and managers. Anyone interested in hearing another valid voice from the comedy inside track will find this a meaningful addition to our career-tips themed web page. OK: I yielded to temptation and annotated my running thoughts with an eye toward both clarification and expanding with my reactions to some key points. Everyone in the tech & TV industries is passing around this speech by Kevin Spacey. delivered a stirring speech about the future of TV. We can save the TV industry $300-400,000,000/year by eliminating series "pilots" which have a worse than 90% failure rate and thus, do not predict the success or failure of a series. Netflix produced "House of Cards" starring Spacey, releasing all 12 episodes for Season 1 at once. This proves that "the audience wants control, they want the freedom. If they want to binge, . . . let them binge!" In fact, this disproves the complaint that audiences have increasingly short attention spans if "they can watch an entire season of a TV show in one day!" "When the story is good enough, people can watch something three times the length of an opera!" innovation and financial success must go hand-in-hand. "Breaking Bad" was a slow starter on TV that did not find wide acceptance until re-shown on Netflix and repeated on American Movie Channel to build audience. Positive buzz and quality of audience gave more awareness than the early rating suggested, and were critical in building a brand. "The Sopranos" took four seasons before reaching its apex and "Seinfeld" took five years to make it into the Nielsen's top 30. Having a commitment to ideas and keeping faith in the talent & a good show "has to be preferable to a pilot system that just throws everything thing up on a wall and hopes something sticks!" TV took over with more sophisticated stories just as the Internet was maturing to provide different delivery systems for product. i.e., complex, smart stories available whenever they want and on whatever device they want. Cameras are platform agnostic. And to audiences, it is all content: "It's just story!" 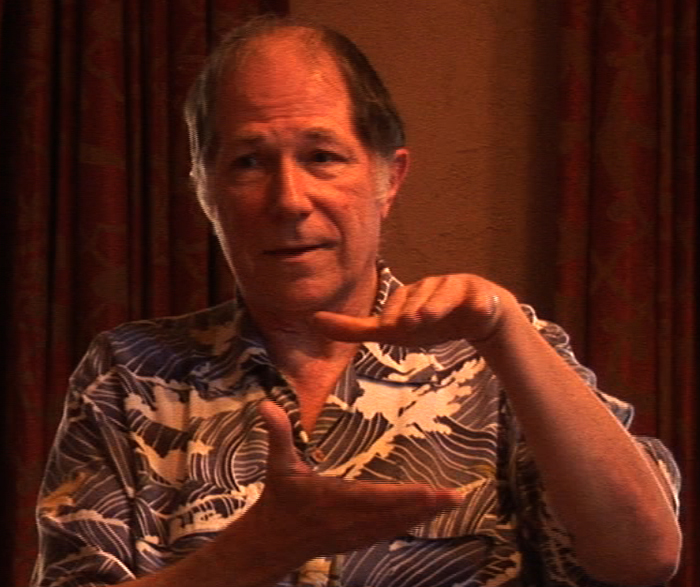 We must "observe, adapt and try things to discover appetites we didn't know were there." •professionals do know what works. "Not one of us in this room will ever see a 30 share in our lifetime, and it's a wonderful, freeing thing." Netflix placed targeted marketing and brand higher than ratings. We no longer live in a world of by-appointment viewing. The water cooler has gone online. Stories are the great leveler, crossing borders to unite audiences. "We have to work just a little bit harder to share these experiences together, and try not to ignore each other quite so much." 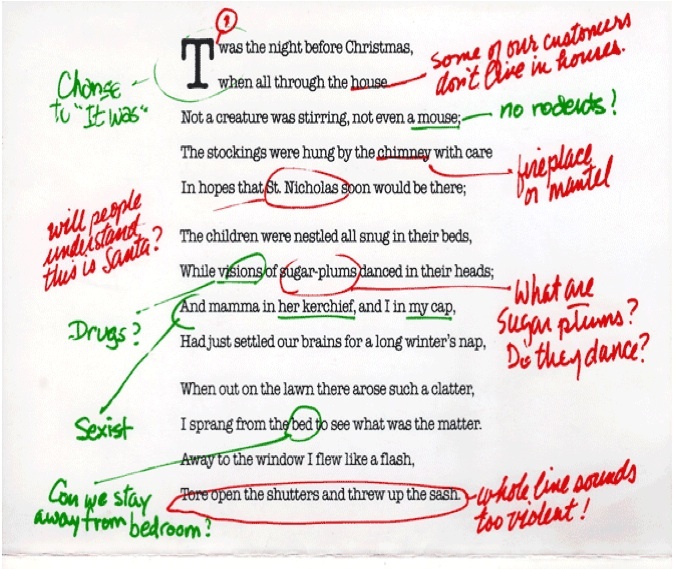 Re-write of "The Night Before Christmas"